CGCX is a cryptocurrency exchange platform that facilitates extensive and specialized functions that are designed for a range of users, from an everyday user to institutions and advanced traders. CGCX is an all-in-one Exchange that allows its users to buy and sell different coins on its platform. By unifying all transactional aspects, it makes buying and selling coins easier for the users. The state of the art features of the CGCX platform can withstand concurrent orders of more than 1 million per second and will ensure the security and stability of its users. Calfin Global Crypto Exchange - CGCX, offers a state of the art, highly sophisticated hybrid platform. Unlike most exchanges that offer only cryptocurrency trading, CGCX is uniquely positioning itself in the blockchain world by providing four modules under a single platform to offer a wide range of services to its customers. As a unique security feature, committing to our values of security, all tokens stored on our exchange wallets are insured against cyber attacks and hacking. CGCX is offering to the public a total quantity of 1 Billion CGCX tokens representing 50% of the total issuance volume of 2 Billion at the price of 1ETH = 8500CGCX tokens. The proceeds of the token sales are mainly used for enhancement of our hybrid platform with further modules in order to offer additional blockchain solutions. The funds would also be used for the planned expansion into other regions as detailed in our roadmap. CGCX is a cryptocurrency exchange platform that facilitates extensive and specialized functions that are designed for a range of users, from an everyday user to institutions and advanced traders. CGCX is an all-in-one Exchange that allows its users to buy and sell different coins on its platform. By unifying all transactional aspects, it makes buying and selling coins easier for the users. The state of the art features of the CGCX platform can withstand concurrent orders of more than 1 million per second and will ensure the security and stability of its users. CGCX's Alternate Cryptocurrency voting program is a monthly process spearheaded by CGCX's team of cryptocurrency experts and external auditing firm. They would identify viable alternate cryptocurrencies to be listed on the exchange. Users would then be able to use CGCX tokens to vote for their preferred alternate cryptocurrencies to be listed on the CGCX exchange platform. This voting program ensures that only legitimate projects with potentially appreciating cryptocurrencies are filtered into the exchange. As more ICOs take place and more alternate cryptocurrencies are developed, this program aims to protect our traders from potentially depreciating or scam projects. Pre-Sale- with some 20% bonus users get to participate in this event from 1 May 2018 till 15 May 2018. The main sale- the ICO sale event will feature from 1 June 2018 till 30th June 2018. CGCX platform facilitates the creation and digitization of certain types of assets like trade agreements and bank instruments. This improves the turnaround time with low transaction cost. This allows for automated settlements and trades based on predefined conditions, which will trigger the self-execution of these smart contracts. All tradable assets that can be represented via a digital token and publicly traded can be used in these smart contracts, subject to regulatory requirements. Merchants or online vendors can start accepting payments in cryptocurrency (CGX, BTC, ETH) in just a few minutes by plugging-in the payment gateway or installing the CGCX Point-of-Sale application (web-based and Mobile app) and benefit from a lower transaction fee and wider reach. Users in the CGCX platform can vote for multiple tokens listing using their CGCX Tokens. We plan to use 50% of tokens received in the voting fee for insurance costs to build further insurance protections against cyber-attacks. The user can get various products and services from the merchant partners at a discounted rate while paying with the CGCX Token. Merchants would be offered lower transaction fee when they accept CGCX tokens as a mode of payments. GCX unique multi UI caters to everyone, from the casual, first-time users to the veteran and institutional traders. Everyone would have access to easily adaptable tools and advanced tools to that enable any experienced trader to make better-informed trades. 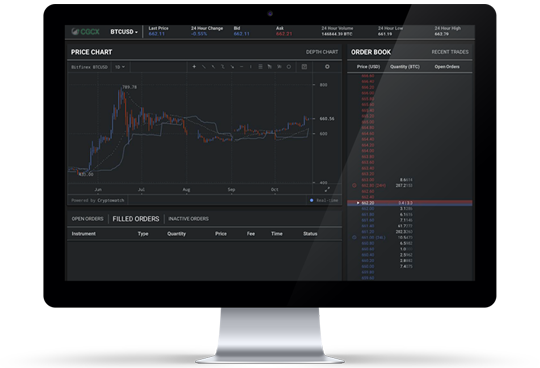 Buying your first bitcoin and trading with cryptocurrencies has never been easier. CGCX offers you cryptocurrency trading pairs that you can buy with your local legal tender. A fully-populated, live and dynamic order book will be readily available across digital asset markets from day one of operation. Entry and Exit would never be an issue for traders in our exchange. The exchange offers increased liquidity with better depth, leading to lesser price impacts. Partnerships are in the pipeline with leading crypto exchanges that will help increase synergy for the benefit of the community as a whole.